Head over heels! Ben Napier is known for building custom furniture pieces for his and his wife Erin’s Mississippi-based business. But after following the news that Erin surprised him last Mother’s Day with her pregnancy with their first child, daughter Helen (born in January), Ben has plotted a surprise gift of his own. 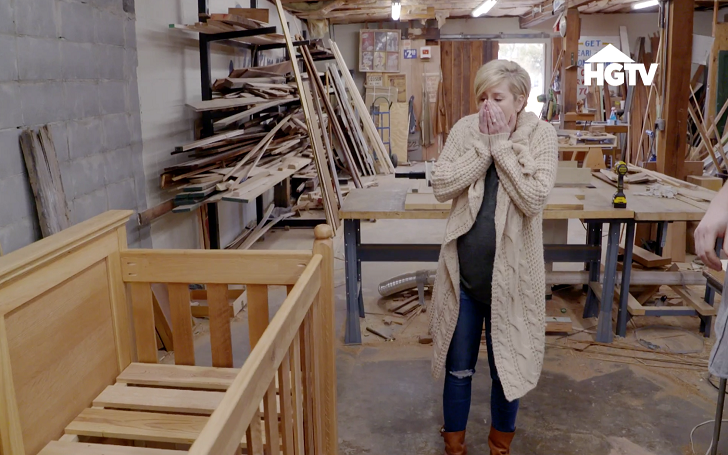 On Monday night's episode, the 34-year-old HGTV’s Home Town star revealed that he is set to surprise his wife. I’m going to one-up her and surprise her with a baby crib. Made from quarter-sewn white oak — "Nothing but the best for his baby" — the proud dad was careful to include all the necessary safety details and design elements that pay homage to the couple’s Craftsman-style home. The sentiment got sweeter when he finally showed Erin the finished piece for the first time. It’s the most beautiful thing you ever made. It’s so perfect. Everything about it is perfect. Ben then said, "I think so, too,"
Although the couple has the most meaningful part of their daughter’s room completed, the space was still coming together when their newest addition joined the family. We’re still working on it. She doesn’t need a room yet, it’s upstairs and she can’t be alone. So we’re just taking our time with it. Helen's nursery is almost finished, and y'all know I had to give her a (super safe plexiglass with frames that lock onto the wall) gallery wall to go with the gorgeous surprise piece her daddy @scotsman.co built for her. We're excited to show you next week on @hgtv's page! Ben and Erin have since finalized a few more details, with Erin taking to Instagram to say it was “almost finished” as she shows a floral-themed display.